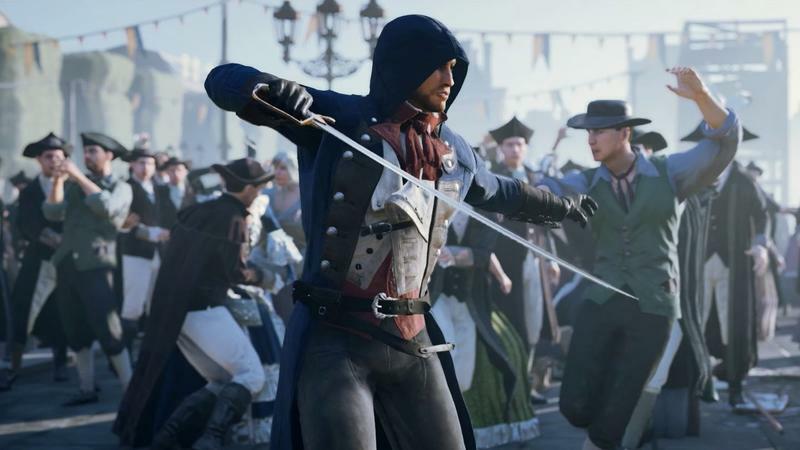 With today’s brand new trailer for Assassin’s Creed Unity, I assume Ubisoft’s marketing machine will slow down to a whir with the Assassin’s Creed brand. They’ve been pumping out clips, screenshots and interviews constantly for months now, and the launch trailer indicates all that is going to end. Until they announce the first round of DLC, I suppose. Then we’ll be in for another slew of trailers, screenshots and interviews. Exciting times. Assassin’s Creed doesn’t really hold the same flame for me that it used to when the series was still fresh. I remember being unbelievably excited for Assassin’s Creed II and Brotherhood, but the annual releases have sort of driven that hype down to a quiet pile of light anticipation. I’ll still play the games, I hope I’ll still enjoy them, but they no longer receive a big red circle on my calendar months in advance. Am I alone in this regard? Ignore the date at the end of this trailer if you live in the U.S. Parts of Europe will see Assassin’s Creed Unity on the 14th, while North America will see it on the 11th. That’s next Tuesday. The game will sell for the Xbox One, PlayStation 4 and PC. We’ve just been confirmed for a review copy that should arrive today, so expect our opinions near launch. I don’t think we’ll have them fully formulated for the 11th, so stay tuned.